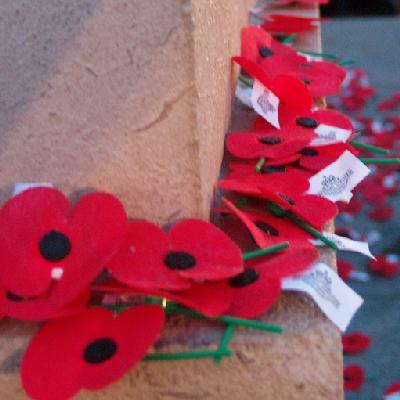 The Roll of Honour contains the names of all the men known to have served at one time with the 1st New Zealand Machine Gun Squadron and gave their lives in service of New Zealand as part of that unit. 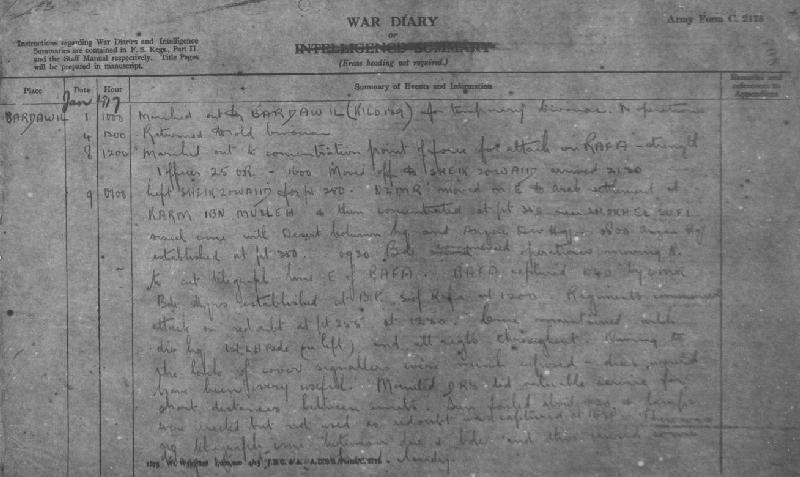 The following is a transcription of the New Zealand Mounted Rifles Brigade Signal Troop, War Diary Account detailing their role at the Battle of Rafa, Sinai, 9 January 1917. Left Sheikh Zowaiid for Point 250. New Zealand Mounted Rifles Brigade moved on east to Arab settlement of Karm ibn Musleh and then concentrated at Point 350 near Shokh el Sufi. Visual communication with Desert Column Headquarters and Anzac Mounted Division Headquarters. 0800 Anzac Mounted Division Headquarters established at Point 350. 0930 New Zealand Mounted Rifles Brigade commenced operations moving north to cut telegraph line east of Rafa. 1040 Rafa captured by Canterbury Mounted Rifles Regiment. 1230 Regiments commenced attack on redoubt at Point 255 at 1230. Communications maintained with Anzac Mounted Division Headquarters, 1st Light Horse Brigade (on left) and all regiments throughout. Owing to the lack of cover signallers were much exposed - discs would have been very useful. Mounted DR's (Drum Rolls) did valuable service for short distances between units. Sun failed about 1620 and lamps were erected but not used as redoubt was captured 1635. There was no telegraph wire between Division and Brigade and this caused some delay after it became cloudy. Communication was maintained also with patrols at Khan Yunis.